I want in on this health. Whether I was asked to post the recipe out of desire to try it or out of general concern for my sanity, I thought I'd share it! Mr. TBS intended to make frozen pudding pops last week, but it was so tasty that we dug right in. Why wait, right? And with requests to post this easy recipe, I was in luck, because guess what he made last night? Oh, yes, he did. 1.) 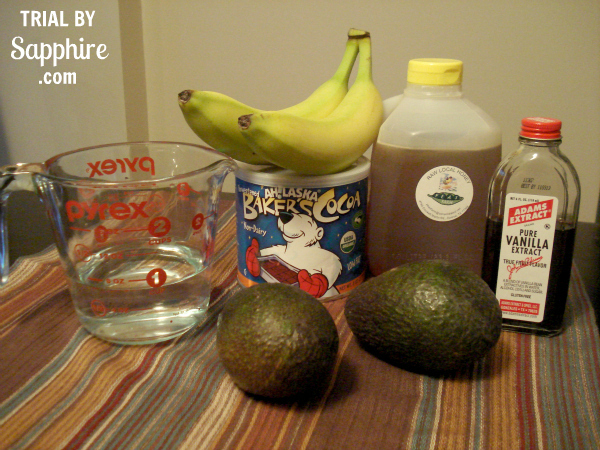 Peel and mash bananas and avocados in a large bowl using a fork or masher. 2.) Add honey, cocoa powder, vanilla extract, and water. 3.) Mix well with a hand mixer, blender, or food processor. 4.) Serve immediately, chill first, or fill an ice cube tray and freeze to make mini pudding pops! 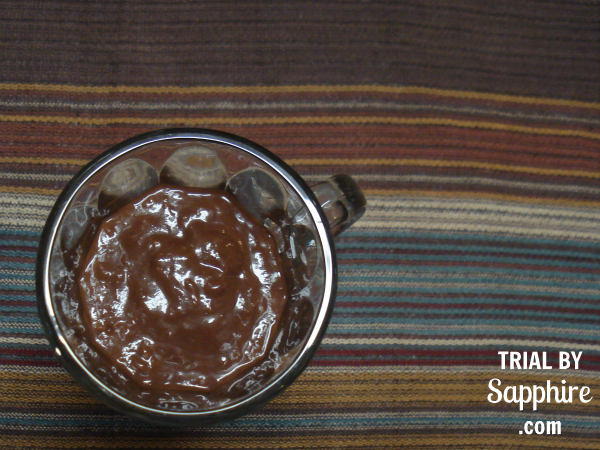 We have no patience when it comes to chocolate, so we dove right in! I have a pretty extreme sweet tooth, so I love that this hits the spot without sending me into a sugar crash 30 minutes later. You can thank me later, but I'll go ahead and say it now: You're welcome. :-) Now go make some! Say what!? 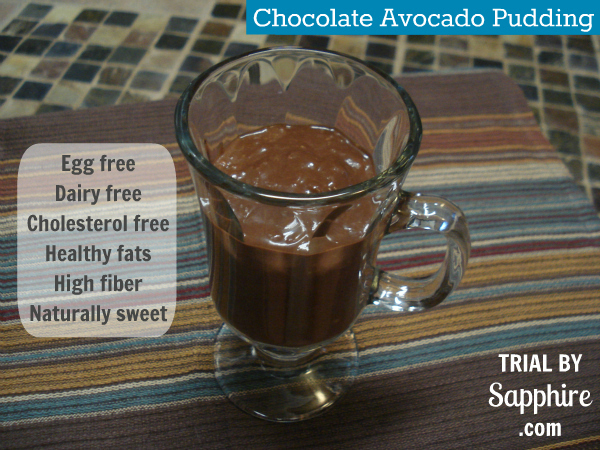 I have NEVER heard of chocolate avocado pudding. Ever. You've got me interested now, missy! I just learned how to make this last week and it is yummy! Avocado is really a great base because it has such a mild flavor! thanks for the treat sweet friend!!! This definitely does sound intriguing. 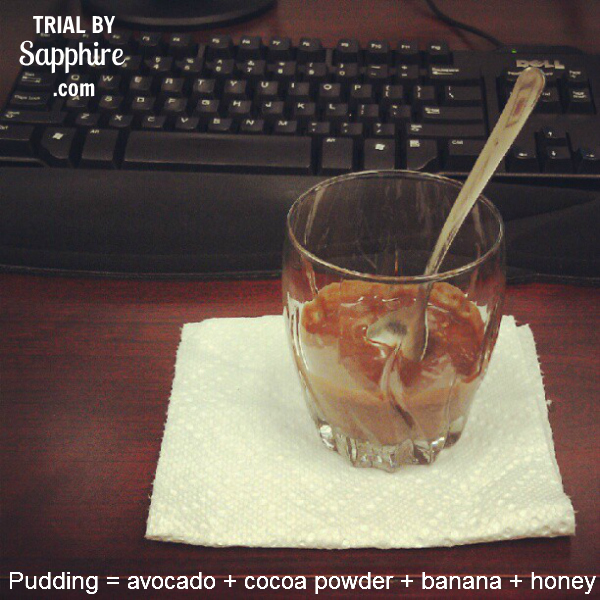 I'll bet the avocado adds a great creaminess to the pudding. OKAY. I'm gonna be real...this sounds SO FREAKING WEIRD TO ME. But I know that I would like it! Avocado as dessert = WHAAAT? I need to get out of my comfort son and try it, yes? This looks so good! I can't wait to try it. Hopefully it will satisfy my persistant sweet tooth. Thanks for sharing! Now this is different! I'd totally try it! Wow this sounds simply scrumptious! Thank you for sharing this recipe; I just pinned it! I'm am super *duper* jealous. Too bad I am allergic to bananas and avocados. Boo - enjoy some for me! Ok. This just went straight to the top of my to-make-list-asap. Can't wait to try it! I'll report back soon! Thank you!!! I am SO excited to try this. I love how healthy it is!